14 kt. 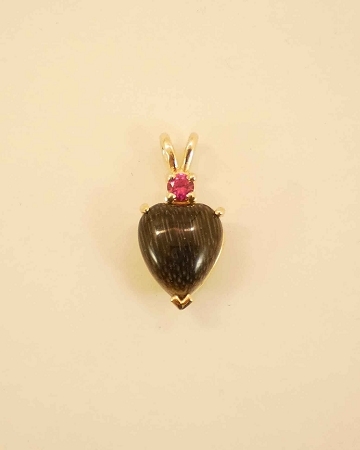 Gold Equinite Heart with 3mm birthstone. Chain not included. Gem colors vary. Specify color preference.